Simvastatin is a drug used to reduce low-density lipoprotein (LDL) or bad cholesterol and triglycerides in the blood and to increase the amount of high-density lipoprotein (HDL) or good cholesterol in the blood. It is also used to reduce the risk of stroke, heart attack, and other heart complications in people with diabetes, coronary heart disease, or other risk factors. Simvastatin belongs to a class of drugs called HMG CoA reductase inhibitors, also known as statins. 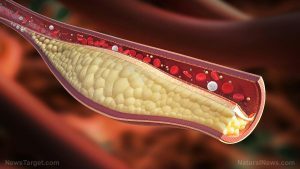 It works by slowing the production of cholesterol in the body to reduce the amount of cholesterol that may accumulate on the walls of the arteries and block blood flow to the heart, brain, and other parts of the body. Simvastatin is sold under the brand name Zocor. It comes in tablet form and is taken orally once a day in the evening. It is used together with diet, weight-loss, and exercise to be more effective. The body systems harmed by simvastatin include the musculoskeletal, hepatic, digestive, hematologic, nervous, and cardiovascular systems. Constipation: Natural remedies for constipation include drinking more water, eating more fiber, exercising more, drinking coffee, eating probiotic foods or taking probiotic supplements, eating prunes, and avoiding dairy. Upper respiratory infections: Upper respiratory infections can be treated by inhaling steam, gargling with salt water solution, drinking ginger tea, and eating garlic. Simvastatin is a statin drug used to reduce cholesterol and triglycerides in the blood. Simvastatin commonly causes constipation, headache, joint pain, muscle pain or weakness, nausea, stomach pain, and upper respiratory infections. Simvastatin may harm the musculoskeletal, hepatic, digestive, hematologic, nervous, and cardiovascular systems. Simvastatin is sold under the brand name Zocor.